Mr. Yoshinori Kobayashi, co-founder of the firm, started as a chemical engineer at the Daio Paper Company. After first working to improve the paper manufacturing facility, he handled a broad range of work involving coater technology and power supply projects and developed experience in practical tasks in the process industry. He started his career in an intellectual property law firm in 1981 by handling inventions from domestic clients, during which his experience as an engineer made him better understand the inventions when visiting clients’ factories. Rapidly, his responsibilities broadened towards obtaining overseas patent rights, which increased his knowledge of many IP systems and procedures. 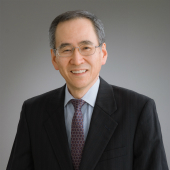 Over twenty years, Mr. Kobayashi has gained expertise in technical and legal aspects of chemical and biochemical inventions. His frequent visits in Europe throughout his career have given him a very good command of the English language.